The religious congregation of the Legionaries of Christ removed Luis Garza Medina from his position as territorial director for North America, putting aside a man who became the most powerful figure in that religious institution.The general director of the congregation, Eduardo Robles Gil, named father John Connor as the new territorial director, starting May 1. The announcement was made on April 12 in a letter to all North American legionaries. Even if the letter did not mention the removal of Garza, the maneuver was held only three years after he was named territorial director and was not made after the usual consultation with the members of the congregation. The document did not mention a new position for Garza, just that his “new post will be announced later”. Garza left his post as general vicar of the Legion on August 2011, and was transferred as superior to the U.S., even if by that time he was one of the most questioned characters in the congregation. In fact, until a few months ago he was the most powerful member of the Legion, keeping his post as vicar since 1992, when he was a member of the leadership headed by controversial founder Marcial Maciel Degollado, keeping many key positions and controlling the financial aspects of the organization. 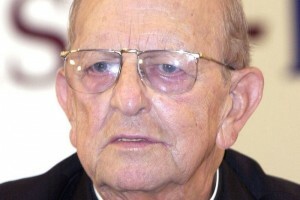 Mexican priest Maciel Degollado (1920–2008) was revealed to have abused boys and maintained relationships with at least two women, fathering up to six children, two of whom he allegedly abused as well. In 2006, Pope Benedict XVI removed Maciel from ministry and he was ordered to spend the rest of his days in prayer and penance, while the Pope Cardinal Velasio De Paolis as his delegate to examine the Legionaries’ constitution.